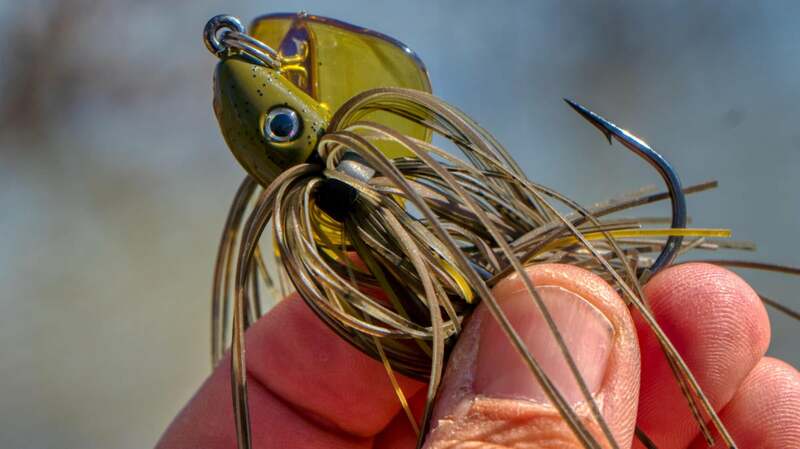 Bladed jigs have been catching some big bass and huge limits all over the country for years, and it seems like the vibrating jig has become more like a crankbait than when it was first released. 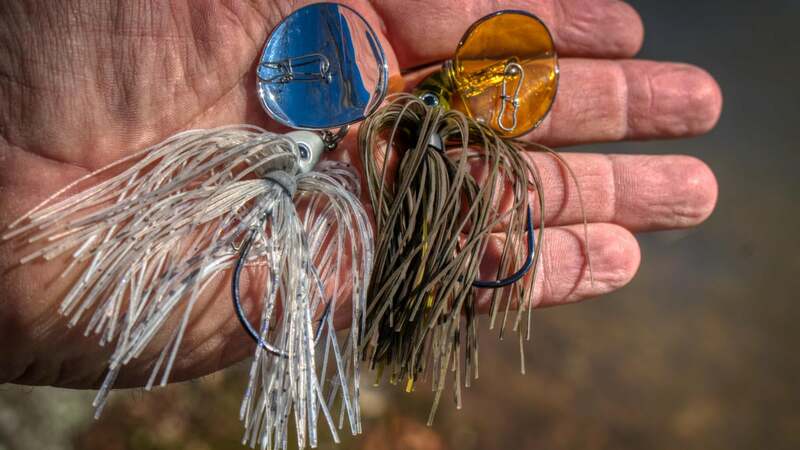 New bladed jigs like the Terminator Shuddering Bait offer different actions, color options and applications to give anglers more of an arsenal in their bladed jig approach. I've talked about bladed jigs being more like shallow crankbaits now. Guys are learning that they can have several different models to cycle through to fit the mood of the fish. Some make a lot of noise. Some have tight wiggles. Some have wider actions. Some stay down and fish deep better while others ride shallow easier. And with the Shuddering Bait, you can have some new color options not available in other vibrating jigs as well as a deflection quality missing in a lot of vibrating jigs. I have been fishing the Shuddering Bait since last summer and thought I'd share some of my experiences with the new vibrating jig from Terminator. The Terminator Shuddering Bait has a stout hook, angled head, wire trailer keeper with skirts that breathe well and their unique composite shuddering blade. They come in 3/8-ounce and 1/2-ounce options and 9 different colors. The VMC hook in the Shuddering Bait is stout and sticky sharp. You can fish it on both braid and fluorocarbon line effectively with good hookups. I've been throwing it a lot on 17-pound fluorocarbon. You can drop down on line size on this bait and fish it more effectively at depth. It has a wider wobble than most vibrating jigs, but it stays down. The hook keeper features a wire barb to hold thin split tails or bulkier kicking trailers firmly alike. The profile is streamlined from the head to the trailer and the skirt pulses and breathes nicely with the side to side shimmy of the Shuddering Bait. Because the deflecting shuddering blade is plastic, it gives the Shuddering Bait many unique color options. You can have really shiny chrome blades. Or you can have really subtle finesse transparent blades. I like that, again, you have some very different options with your vibrating jigs for ultra clear water and very dirty to muddy water. I've caught some nice fish in the middle of the summer around grass and deep wood on a clear lake, and I'm catching some shallow fish on rock and wood in muddy water this spring with recent rains and flood conditions on this new vibrating jig. The blade on the Shuddering Bait deflects off of cover better than a lot of vibrating jig options. While I think other jigs might work a little better around thicker grasses, I think the Shuddering Bait really shines around wood and rock. The plastic cupped lip acts a lot like the square lip on a squarebill crankbait. 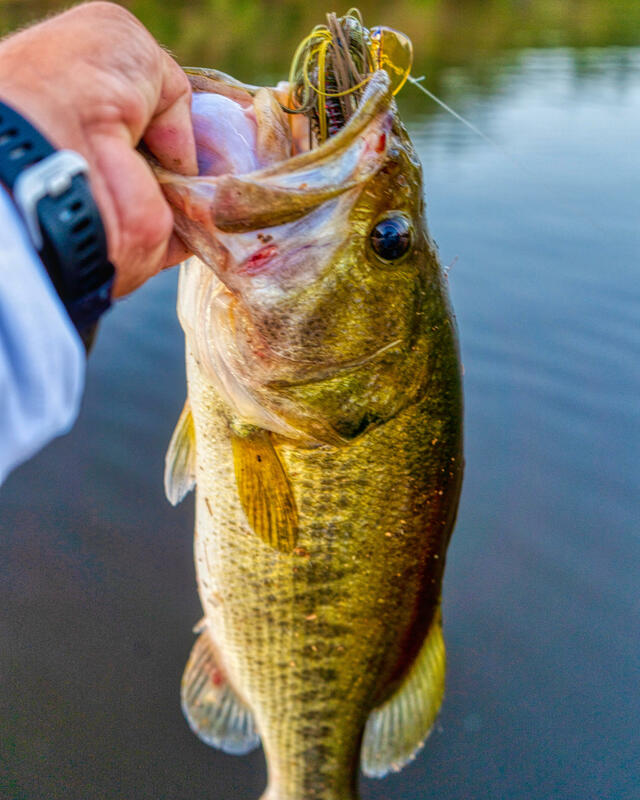 Even though a squarebill crankbait has two treble hooks hanging on the bottom of it, its orientation in the water and lip help it deflect and turn upward to come over wood cover. 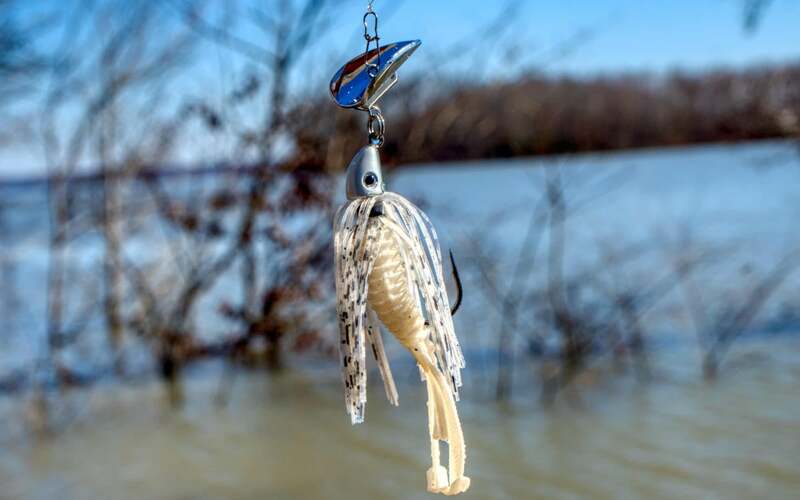 While you might get hung sometimes with baits that are built to deflect, for the most part you can get it to fish in and through cover a lot better. I got to fish with one last summer just before the ICAST show and had a banner day on a small lake in another state. 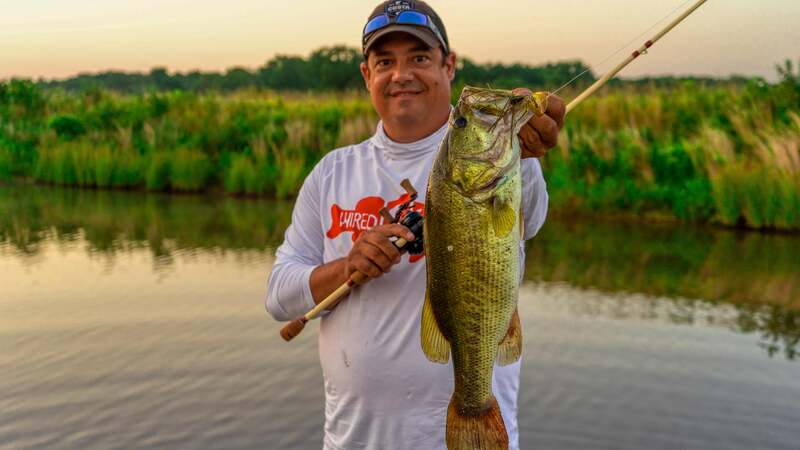 We fished a lot of bank grass in the morning, and then worked out to deeper wood cover in the afternoons and was able to catch a lot of bass shallow and deep on the Shuddering Bait. I've been fishing it off and on this spring with success as well. Fishing it on muddy warming flats where bass are staging. It's been a good option for covering more open water. I consider vibrating jigs to be more like crankbaits now. I like having a new wider option with the Shuddering Bait. I can slow roll it deep or fish it quick through shallow cover. That makes it a versatile bait for $8. You can find them at TackleWarehouse.com and other retailers carrying Terminator jigs. 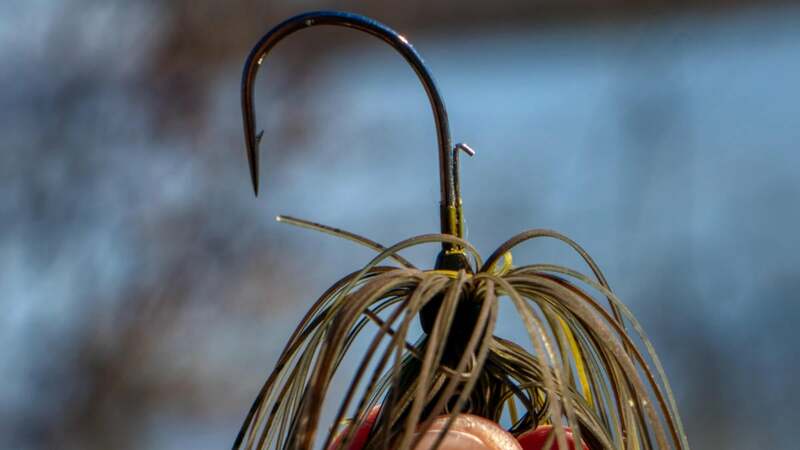 To see the Shuddering Bait in action, check out this great video on fishing bladed jigs.